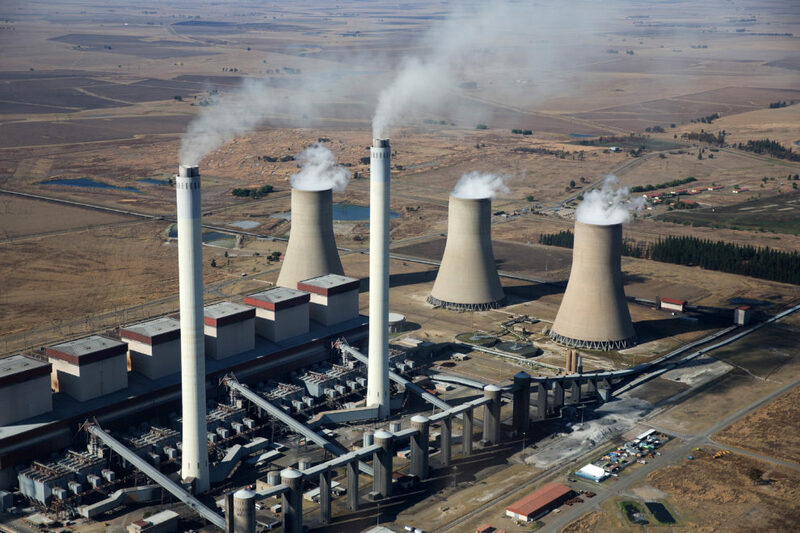 ❏ Constitutional rights and air pollution legislation in South Africa are violated by the current operation of Eskom coal-fired power stations. Air pollution, with its devastating impacts on human health and well-being, remains a significant problem in our country, particularly in the priority areas such as the Highveld, where air quality remains poor or has further deteriorated from “potentially poor” to “poor” against all intentions of the law. ❏ Mpumalanga province in South Africa is the largest NO2 air pollution hotspot in the World, as new satellite data assessed by Greenpeace showed for the period between 1 June to 31 August 2018. There is clear evidence of the huge impacts of coal-fired power stations on the air quality in the region, and that the highest concentrations recorded at monitoring stations are clearly linked to emissions from coal-fired power plants operation. ❏ Between April 2016 and December 2017 the 17 Eskom coal-fired power stations reported nearly 3,200 exceedances of applicable daily Atmospheric Emissions Licenses (AEL) limits for particulate matter (PM), sulfur dioxide (SO2), and oxides of nitrogen (NOx). ❏ 15 times more nitrogen oxides (NO2) than allowed in India (new build coal- fired power stations) and China (key regions) and more than 7 times more than currently in the EU. ❏ Eskom significantly underestimates the health impacts of their coal-fired power stations and annual premature deaths by ignoring international research standards. ❏ An estimated total of 23,000 premature deaths could be avoided by requiring full compliance with the MES. This represents a 40% reduction in the health impacts of air pollution from Eskom’s power stations. ❏ Eskom’s “Emission Reduction Plan” would allow the company to operate its entire existing fleet without even rudimentary controls for two of the most dangerous pollutants emitted from coal-fired power plants: SO2 and mercury, and with substantial exemptions for controlling NOx and dust emissions. ❏ India is aiming to bring its entire coal fleet to compliance with stricter standards than the MES by 2022, requiring retrofits in much of its 220GW of operating capacity. According to India’s Ministry of Power, the procurement, construction and connection of an FGD takes 30-36 months, and according to the International Energy Agency 24-36 months. As long as procurement is started in 2019-2020, there is sufficient time install FGDs by the 2025 deadline in all plants that intend to operate beyond 2030. ❏ Eskom uses claims of extremely high costs of installing emission controls, particularly Flue Gas Desulphurization (FGD) equipment, as an argument against compliance with the MES. These claims are based on outdated research from 2006, before China, India and other emerging countries started deploying FGDs at scale. ❏ Eskom exaggerates the costs of compliance with the new source MES for SO2 at least 5-fold, completely invalidating claims that costs of compliance exceed benefits. For the reasons set out in this submission the National Air Quality Officer and the licensing authorities are required by law to refuse to consider Eskom’s MES Applications because they do not meet the minimum requirements for considering applications. In the (unlawful) event that the applications are considered, the decision makers must, in accordance with their legal duties, place people, their needs and their health, together with the health of the environment, at the forefront and refuse Eskom’s multiple postponement and suspension applications. Greenpeace Africa is willing to provide further expert evidence in support of its submissions should it be required by the National Air Quality Officer or the licensing authorities in deciding on these applications. Greenpeace Africa reserves its rights to amend or update this submission.